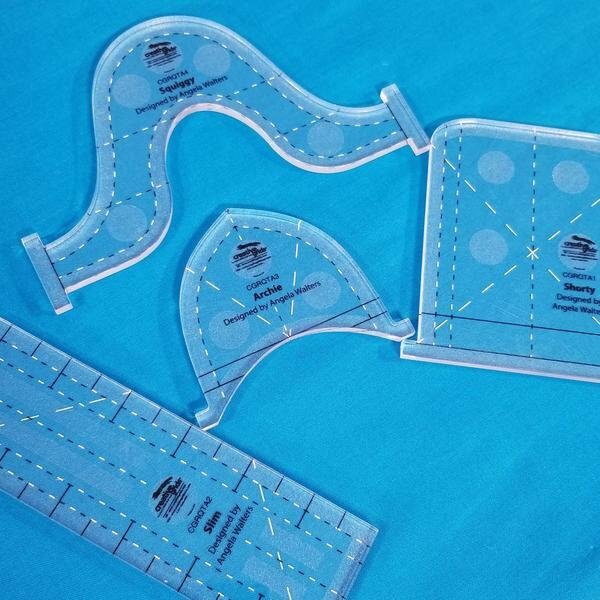 This class offers instruction on using templates and rulers with a domestic machine. The skills learned can also be used on sit down quilting machines such as the Baby Lock Tiara. Sewing Machine with RULER FOOT--this is required for successful ruler work! 8 practice sandwiches (sixteen 14”x 14” square pieces of muslin or solid cotton of any color, 8 pieces batting of your choice cut in 14” squares. Make the practice sandwiches prior to coming to class. RELAX. Take a deep breath. You can do free-motion quilting!